* Type to translate 50 languages. 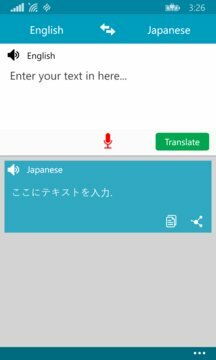 * Use your voice to translate text instantly in 26 languages. 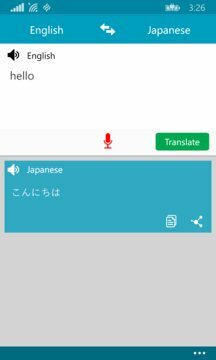 * Two-way automatic speech translation in 40 languages. * Save translations for future reference.